The CaminoWays.com team is delighted to be taking part in World Travel Market London again this year. World Travel Market is one of the biggest and busiest travel shows in Europe, attracting thousands of travel professionals from all over the world each November. 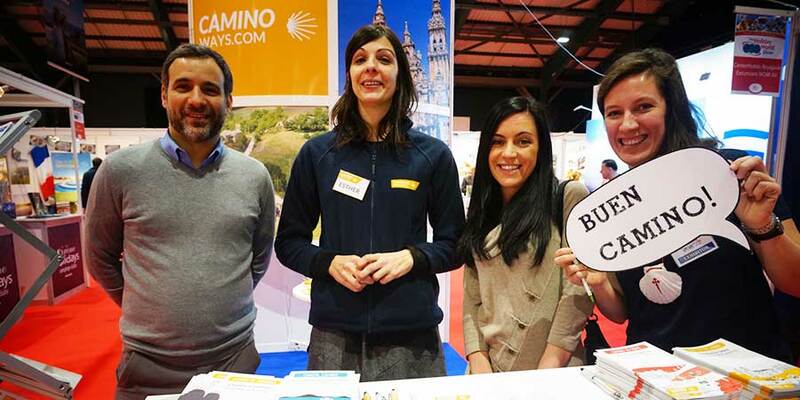 You will find the CaminoWays.com team at stand EU508 where Volker, Claire and Esther will be available to answer all your questions about all our destinations at CaminoWays.com, IrelandWays.com, FrancigenaWays.com and TrekkingBug.com; what we do and how we can work together. For more upcoming events where you can meet the CaminoWays.com team, visit our events page.